In the spring of 1885, seventeen-year-old Jessilyn Harney finds herself orphaned and alone on her family’s homestead. Desperate to fend off starvation and predatory neighbors, she cuts off her hair, binds her chest, saddles her beloved mare, and sets off across the mountains to find her outlaw brother Noah and bring him home. A talented sharpshooter herself, Jess’s quest lands her in the employ of the territory’s violent, capricious Governor, whose militia is also hunting Noah–dead or alive. John Larison earned an MFA from Oregon State University in 2007. 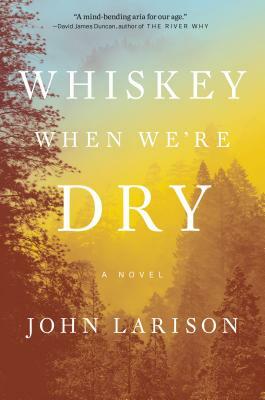 During the eight years he was writing Whiskey When We’re Dry, he worked as a fly-fishing guide, a college writing instructor, and a freelance contributor to outdoor magazines. He lives with his family in rural Oregon.